Mumbai: In a bid to stem premature withdrawals by investors from close-ended funds, capital markets regulator Securities and Exchange Board of India (Sebi) on Thursday banned early exits from such funds. Close-ended funds are schemes that raise a fixed amount of money through an initial fund offering. These schemes, some of which are listed on stock exchanges and traded, don’t accept investments once the offering closes. However, most such funds are not strictly close-ended because they allow premature exits by investors. Large-scale early withdrawals since mid-September, after the collapse of Wall Street investment bank Lehman Brothers Holding Inc. that plunged the global financial system into an unprecedented liquidity crisis, have hit Indian fund houses hard. Mutual fund (MF) investors redeemed at least Rs96,000 crore from debt schemes in September and October. The liquidity crisis forced the Indian central bank to open a credit window of Rs60,000 crore for the mutual fund industry. Commercial banks can borrow money from the Reserve Bank of India and lend to mutual funds. This window will remain open until 30 June. After the Sebi board passed the new norms, its chairman C.B. 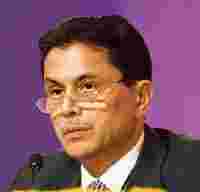 Bhave said fund houses should necessarily list all close-ended funds on the stock exchanges. The listing provides an alternative exit route for investors wishing to liquidate their holdings. Under the new norms, the close-ended funds’ underlying assets should not have a maturity beyond the date on which such schemes expire. “This will be a compromise on the interim liquidity as close-ended funds trade at steep discounts to the net asset value," said Dhirendra Kumar, chief executive officer of Value Research, a New Delhi-based mutual fund industry tracker. “I think FMPs (fixed maturity plans) will be less attractive now." FMPs are debt schemes that invest their corpus in fixed-income securities and are close-ended in nature. Such plans account for 90% of total close-ended funds’ assets under management, according to industry estimates. Fund house chief executives such as Waqar Naqvi, who heads Taurus Asset Management Co. Ltd, expect FMPs to do well after an initial slowdown. “Some large investors might review their investments after this," said Naqvi. “Even if there is a slowdown initially, it’s too good a product for people not to come back." The new norms will be applicable to all issues that have been approved, but not yet launched. At least one-third of the 1,050 mutual fund schemes at the end of October, for which data is available, are close-ended schemes. This category of funds had assets under management of Rs1.16 trillion, about one-third of the Rs3.94 trillion total assets under management as on 31 October, according to the Association of Mutual Funds in India, an industry lobby. In order to usher in more transparency in its decision-making process, the Sebi board on Thursday decided to adopt a code for its board members. The objective is also to avoid a conflict of interest for members of its board. The regulator will release the code before 12 December. Sebi will also release on its website agenda papers submitted to its board on policy issues, Bhave said. The agenda for Thursday’s board meeting will be released a few days later, but in future, all board meeting agendas will be on the Sebi website after the meetings are over. The market regulator will also make the minutes of its board meetings relating to policy issues public. No other financial market regulator in the country makes its board meeting agenda and minutes public.